The FUT Birthday event ended with a good value anniversary SBC featuring Flashback Martínez, which is live in Ultimate Team now. To complete the Jackson Martínez SBC, you can earn an 87 rated Flashback Martínez and 2 packs before April 5, 2019. Here best site for fifa 19 coins brings you the cheapest solution to complete FIFA 19 Flashback Martínez SBC with challenge details, squads price, and player review. Jackson Martínez, a Colombian professional footballer who plays for Liga NOS club Portimonense SC plays as a striker, his FIFA 19 Flashback card boosted 10 ratings on his standard items, which is an insane upgrade. Then how to review the Flashback Martínez? The attribute details and in-game performance of FIFA 19 Flashback Martínez card. This card looks great, 87 pace, 88 shooting, 85 dribbling and 90 physical. His shot power is really outstanding, and all the shooting stats are well-rounded, you can also apply a Finisher chemistry style on the card, he can also definitely got a couple of long shots from at the edge or even further outside the box. Another obvious advantage of Flashback SBC Martínez is his 95 strength, which can be boosted to 99, with the 84 aggression boosted to 94, he’s also a relatively tall striker, so he’s more than able to use that strength to be able to gain secure positions, keep players and stop them trying to make tackles. His heading accuracy is also amazing. The cheapest price of FIFA 19 Flashback Jackson Martínez SBC solution is 75K FUT 19 coins according to FUTVIEW, the negative of the SBC is probably Martínez’s league and nation isn’t easy to link with other top players, overall, this is a really nice card, considering the cost, he is one of the best striker, much worth for coins. 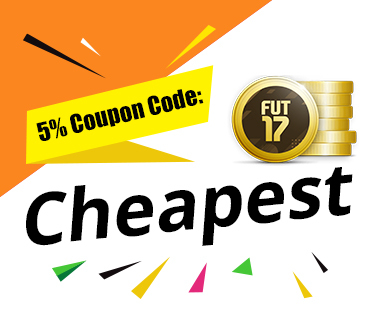 Check fut coins price from best fut coins website now to get the cheapest FUT 19 coins.